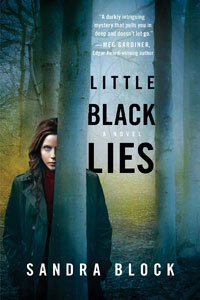 Little Black Lies by Sandra Block: Synopsis and Online Purchase Options. Synopsis (from the publisher): In the halls of the psychiatric ward, Dr. Zoe Goldman is a resident in training, dedicated to helping troubled patients. However, she has plenty of baggage of her own. When Zoe becomes obsessed with questions about her own mother's death, the truth remains tauntingly out of reach, locked away within her nightmares of an uncontrollable fire. And as her adoptive mother loses her memory to dementia, the time to find the answers is running out.